Five years ago this month I began my quest to become a published author. After countless rejection letters with little to no constructive criticism, I began to doubt my ability to obtain my goal of becoming a published author. I’d read books on the craft of fiction writing covering POV, dialogue, setting scenes, characterization, etc., but was still getting nowhere. I’d just about given up when a wonderful lady, and experienced writer, answered my call for a critique partner. It wasn’t until Virginia dissected one of my manuscripts, specifically pointing out the areas of issue, that I finally understood, and was able to hone my skills on the different “craft” components of fiction writing. And voila, after just a few short months of working with my critique partner, I made my first sale to a publisher! 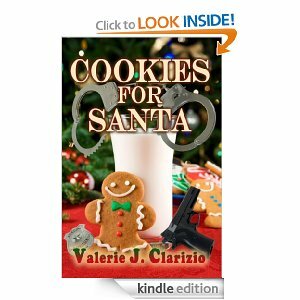 My novella, Cookies for Santa, was published by Melange Books, LLC, in November of 2012 and the second book in the series, Craving Vengeance, A Nick Spinelli Mystery is scheduled for release in the fall of 2013! Of all the components of fiction writing I would say my favorite in this series was characterization. For me, there’s nothing like a manly man hero who - when forced out of his comfort zone - discovers the sensitive and caring man below the surface, and then actually allows that man to emerge. However, developing the hero, Detective Nick Spinelli didn’t come without challenges. My goal was to take the ultimate manly man and go the extreme with him, making him the ultimate sensitive man as well, while keeping him believable through the entire transition. In order to accomplish this task I teamed him up with the ultimate touchy-feely, heroine. Needless to say, they didn’t see eye to eye at first and the tension has been described by reviewers as such it could be cut by a blade. Detective Spinelli’s life is tossed sideways when he is reassigned from the Homicide division to assist in the Child Services division of the Social Services Department for the holiday season. From the beginning, Spinelli and Caseworker Shannon O’Hara generate their own kind of fireworks, causing more than the normal workplace stress. They both have their own philosophies for dealing with the clientele. However, the forces of nature have their own plan for Spinelli and Shannon. Shannon moonlights as Santa Claus’ little helper at the mall, and when Santa and an elf turn up dead Shannon appears to be next on the killer’s list. Spinelli is placed back on homicide and goes undercover as Santa to help capture the killer. He catches a great deal of grief along the way but will he capture the heart of his little Santa’s helper as well? spoiled cat. She loves to read, write, and spend time at her cabin in the Upper Peninsula of Michigan. She's lived her life surrounded by men, three brothers, a husband, and a male Siamese cat who required his own instruction manual. Keeping up with all the men in her life has turned her into a successful hunter and fisherwoman. 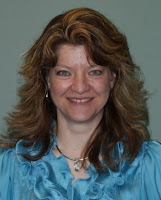 Valerie is a member of Romance Writers of America and the Wisconsin Romance Writers of America. Facebook or Twitter @VClarizio or check out her Blog. Thank you so much for allowing me to visit your wonderful blog. I love hearing tales about success and how critique partners help authors get there. Thanks.